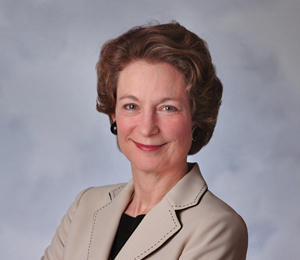 Susan Eisenhower is the CEO and Chairman of The Eisenhower Group, Inc. (EGI). For more than 30 years, EGI has provided strategic counsel on business development, public affairs and communications projects to Fortune 500 companies in the United States and abroad. Over the years, Ms. Eisenhower has served as a member of three blue ribbon commissions for the Department of Energy for three different secretaries: The Baker-Cutler Commission on U.S. Funded Non-Proliferation Programs in Russia; The Sununu-Meserve Commission on Nuclear Energy; and the Blue Ribbon Commission on America’s Nuclear Future, which released its findings on a comprehensive program for the back end of the nuclear fuel cycle in the winter of 2012. She has served as the co-chairman for the U.S. Secretary of Energy’s Nuclear Energy Advisory Council, and she was also appointed to the National Academy of Sciences Standing Committee on International Security and Arms Control, where she served eight years. She is currently a member of MIT’s Energy Initiative Advisory Board.